Our Everyday Happiness feature stories are about how the search for happiness has shaped who we are and how we live. This series is open not only to regular Delivering Happiness contributors, but to guest posters from the Delivering Happiness movement, Very Happy People, and….you. If you are interested in telling us about how happiness works in your life, please contact our Creativity Curator: lindsay@deliveringhappiness.com. My name is Florin Muresan, and I'm the Founder and CEO of Squirrly. Squirrly is my second start-up, and for me, that just means that this is the second time I've had the opportunity to take the values of Delivering Happiness and build them into a corporate culture. We created Squirrly with a focus on having an excellent customer experience, for every single user. After seeing first-hand what it means to make your customers happy and to make a habit out of Delivering Happiness to your customers, I knew that I had to take this idea to the next level with my current product. So at Squirrly, we built a Happiness Meter right into our product's UI, to track how happy our customers are with what we built. And we track this every day. The Happiness Meter allows us to see just how happy customers are with the product and also how excited it gets them. But of course, it's not about us. It's about them. 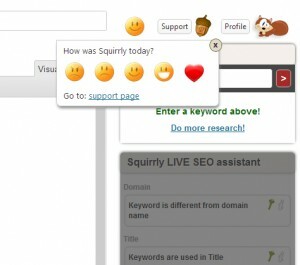 By clicking the smiley icon our clients find in their interface (it's very visible), a menu of five smiley faces opens up and above them it reads: " How was Squirrly today?". With a single click they can give us their feedback, which ranges from "Angry" to "Love It". This makes our clients feel very good about our product and our company, because they see that we care about how happy we make them and also that we respect their time. They don't have to write an email to tell us what their problem is, because we follow up on sad faces immediately. Two clicks and they made their point. And if our software did make them unhappy, they can also write feedback straight from the interface. We're always looking for ways to make the experience that our clients have with our product better, and while we don't get too many sad faces, we're usually able to turn those frowns upside down really quickly, just by being responsive, accountable, and understanding. So far it has worked amazingly well, better than we could have hoped. We received tons of feedback about how happy our customers are, that we would never have gotten if we relied solely on email. Our clients benefit, because they get a quick way to express their satisfaction/dissatisfaction and also see that the company is proactive in it's development and forward thinking. This gives them a feeling of security about using our product. But my story isn't just about our product. The Happiness Meter, as a concept, is very easy to implement and it can help any company gain valuable insight, while also empowering their clients to take part in the evolution of the product. You will be surprised at the positive impact such a simple thing will have on the usage of your product or viewership of your site. Excellence is going the extra mile, doing that special something that separates you from mediocrity. Excellence in making customers happy made my last company mean a lot to people from Europe, Africa, and Asia, even though the company ended up failing. 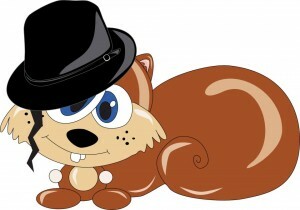 Most of my active users from my previous start-up are now clients of Squirrly. They engage with us on social media and inform a lot of the work that we do. This is what making customers happy can do for a business. 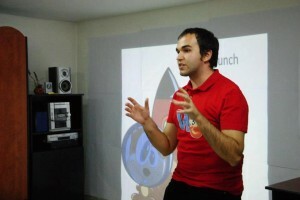 Florin Muresan is the Founder and CEO of Squirrly.co. He's a seasoned entrepreneur, professional blogger at the largest media holding in Romania, and a dedicated VHP. He pursues excellence by Delivering Happiness to his customers, teammates and investors everyday. You can follow him on Twitter @florin_muresan, or on his personal website http://www.florinmuresan.com/.